Your chance to win a Chord Mojo and Poly gift set worth �899. 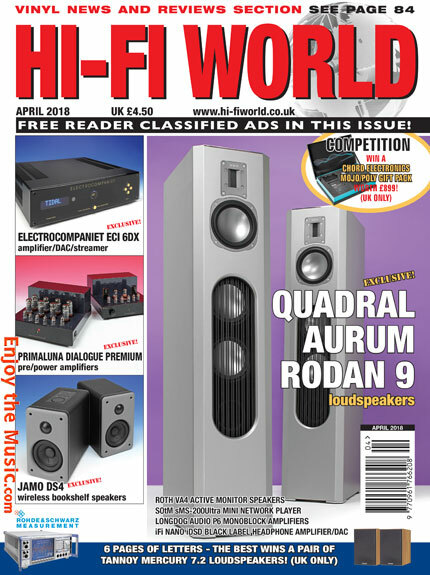 Quadral's new Aurum Rodan 9 loudspeakers are a class act says Jon Myles. Jamo DS4 Bluetooth wireless loudspeaker are a small but potent package, finds Jon Myles. Lyric � a loudspeaker that shows lyrics as it plays. Jon Myles looks on in awe. 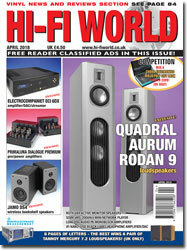 Martin pipe enjoys the sound of the new iFi Nano iDSD Black Label headphone amplifier/DAC. Electrocompaniet's latest ECI 6DX amplifier, DAC and streamer is an all-in-one system that demands attention. Reviewed here by Jon Myles. Our streaming expert Jon Myles is impressed by this new Korean streamer. A valve pre-amplifier and power amplifier from PrimaLuna impress noel Keywood. Jon Myles listens to new high-end monoblock power amplifiers from longdog audio. A new interconnect from atlas cables uses cold-weld technology for a superior sound, finds Jon Myles. Arcam's classic delta black box can still make a sweet sound, says martin pipe. Noel Keywood tests Roth's VA4 � bookshelf loudspeaker with an integrated phono stage. A comprehensive guide to progressive music LPs during the 1960s and 1970s catches Paul Rigby's eye. Paul Rigby places some new Record Stabilisers under his turntable - and likes what he hears. Paul Rigby looks back at Fleetwood Mac's Classic first 'us' album.